Above all, you’ll experience a class that is both fun and informative. It is my earnest desire to help every student to grow and learn quickly. 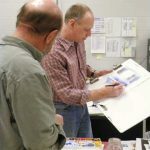 All of my classes & workshops combine demonstrations, one-on-one instruction and objective advice in a way that allows students at all ability levels to make great progress in a very short time. My approach focuses on providing information and insights to each individual – meeting them where they are and helping them get to where they want to go. My firm belief is that fundamental skills are important, particularly for a tricky medium like watercolor. So every class and workshop has a strong focus on the fundamentals, presented in a way that makes them simple and understandable. 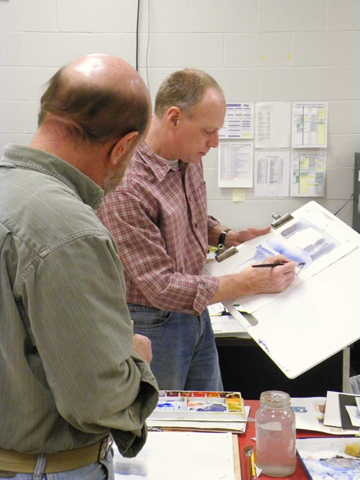 Powerful and expressive paintings result from purposeful design and good technique – both subjects are covered in my classes. Questions? Comments? Like to schedule a class or demo for your group? Send me a note. I'll be back in touch very soon. Cancellation Policy: If you find that you are unable to attend the workshop and notify me at least 30 days in advance, the workshop fee will be refunded less a $35 cancellation fee. Alternatively, you may apply the full fee to a future class or workshop. Refunds cannot be given for cancellations received less than 30 days prior to the beginning of the workshop. However, another party may attend in your place. All refund requests must be made in writing to Tony Conner at mail@tonyconner.com.